PHOTO: This shady, unmarked office building in Santa Monica, California is the headquarters location of Campus Explorer at 2850 Ocean Park Blvd. The lack of transparency at their headquarters seems to reflect a larger corporate culture of deceit, fraudulent student recruiting, and promotion of for-profit colleges. If you are one of the people that innocently believe the internet has brought more transparency and consumer protection to the American economy, this story’s for you. Last week, investor-backed Campus Explorer from California contacted CollegeTimes to inquire about advertising. In and of itself, a completely normal happening – that is, until they demanded that we sign a compliance contract protecting their for-profit college “clients” from things like unapproved content (criticism) and traffic sources. Note: the contract is publicly available at this URL. As the Explorer team were quick to point out, “contract negotiation” is a normal thing in the business world. True. But what’s not normal is pretending to be a website that helps high school students discover the college that best matches their interests, when your real goal is aggressively pushing them into unaccredited, for-profit scam colleges – and then shopping around for bloggers to help you with that mission. For several years, I had been under the impression that Campus Explorer was something of a mixed bag in the ‘higher education industry’ of America. I believed (erroneously) that their business model revolved mainly around scholarships and financial aid services, lacking the vast corruption of similar companies (i.e. College Prowler). Update 10/5/2014: Campus Explorer appears to have pulled all of their advertising from StudentsReview.com after the CollegeTimes team pointed out that their site also accepts negative student reviews of for-profit colleges. It’s official: corporate America has no shame. Now, do I really believe that the sales rep and her supervisor (who I’m not going to out, because they were just doing their job), had some wicked secret plan to take down CollegeTimes after we signed some compliance contract? Of course not. But in an age of fine print and lawsuits, it sure presents an interesting case. Take, for the example, the possibility that Campus Explorer decided to file a lawsuit due to breach of contract in an attempt to get negative student reviews taken down from CollegeTimes. Sound far fetched? Not when you consider the half-dozen for-profits that have already sued or threatened to sue our team. Lead generation is not an inherently immoral business by any means. On the other hand, lead generation for unaccredited for-profit colleges that commit rampant fraud, waste billions of dollars of taxpayer money, while paying off public officials to play along, all the while screwing over millions of students, most definitely IS. 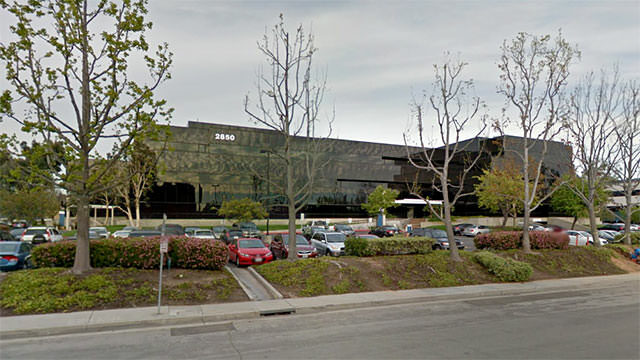 And based on all the low-income black people leaving mixed reviews of Explorer on Facebook – not to mention their shady, unmarked headquarters office (seen above) located in Santa Monica – it would seem that their executive team is well aware of the lack of value they bring to society with their current business model. It would seem Campus Explorer feels the same way about college admissions. Update 4/19/2015: After yet another former Campus Explorer employee commented to both CollegeTimes (below) and GlassDoor that serious corruption, harassment, and “fudged numbers” were a part of the corporate culture, it appears that management has decided to spam multiple “positive” reviews of the company in reaction. This comes just a few months after Campus Explorer acquired Vantage Media’s education business in a secret deal, the latest in a string of venture capital transactions involving the company. Campus Explorer is a corrupt, unethical, ruthless company!!! Upper Management spreads lies and coerces employees to work through breaks. They hire thieves and call them office management. They praise unethical behavior as long as its from upper management. Appreciate your truthful post! Campus Explorer is a bogus tacky corrupt company. Their glassdoor reviews are rigged with “positive” comments. As an engaged glassdoor employer, Campus Explorer deletes all of the several negative and truthful reviews by fighting with glassdoor against any negative reviews. Campus Explorer is a horrible corrupt company. The current CEO and the VP of Operations are corrupt snakes. They are both so dirty and hopefully they will reap what they sow very soon. I hope the disgusting pig of a CEO and his leading lady at the company drown in lawsuits that are coming their way. The old CEO was a visionary and a true leader. This new current CEO is a jerk in the guise of Santa Claus. His leading lady, VP of Ops, looks like a troll doll and behaves like a beast. Thank you Jesse for posting this and for shedding some light and truth. I work at Campus Explorer and it is the most corrupt place ever. They take advantage of the uninformed minority. The CEO and certain senior managers are awful. There are so many numbers that are fudged. I hope the company gets thoroughly audited and sued for its injustice. Not only is the mission of the company corrupt but so is the management. I’d like to contact you privately. Please send your email address via email or text (337-296-4000) and remove this message.